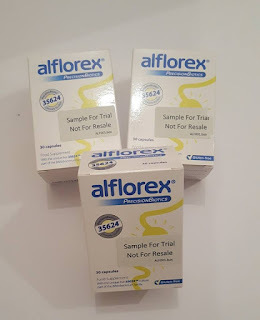 Thanks Alflorex- Treating my IBS Symptoms! This post may not exactly be beauty related but let me tell you, feeling unwell in your tummy makes it extremely hard for any tan or makeup to make you feel better! I have been struggling with my tummy a lot over the last while. Over the years, I have been to A&E multiple times, I've had embarrassing incidents where my bloat gets so much, I literally need to change my clothes. I can look about 6 months pregnant when it really kicks in. I have been to doctors, dietitians, you name it I'm trying my best to get this thing manageable. And that's really what it is folks, it's managing something rather than getting rid of it completely. My symptoms are really that of a typical IBS person. I can get extreme pain (cramps) and a swollen hard tummy (the bloat). I have medication that I can take when it flares up but recently and I mean over a month and a half ago I started to take Alflorex. The reason this post has taken so long to publish is because I find with new tablets your system can take at least a month and a half to know if something is working. It's also great that when you start taking Alforex they make that very clear. Although you should start to feel some changes and relief within three weeks or taking the tablets, you have to give it over the first month so really see the benefits. So am I seeing them? Too right I am! I am not the greatest at staying consistent with tablets, one day you forget then you take them for the next week and then there's another slip. It can happen everyone but the most important thing is to try your absolute best to be consistent with these little guys. They are a small white tablet, so easy to swallow. Some people are dreadful with tablets (my little sister for one) so I can understand the frustration when you feel you can't take something but these are small little guys very easy to get into your system just a small glass of water and you're good! ·Alflorex is a PrecisionBiotic® product, classified as a food supplement, which contains the unique 35624® culture. ·The 35624® culture was researched and co-developed by scientists, clinicians and gastroenterologists at Alimentary Health Ltd and the APC Microbiome Institute at University College Cork, one of the world’s leading institutions in the human microbiome and gut health. ·The 35624® culture is the number one recommended bacterial culture by Gastroenterologists in the United States. ·Alflorex should be taken daily as part of a healthy lifestyle. 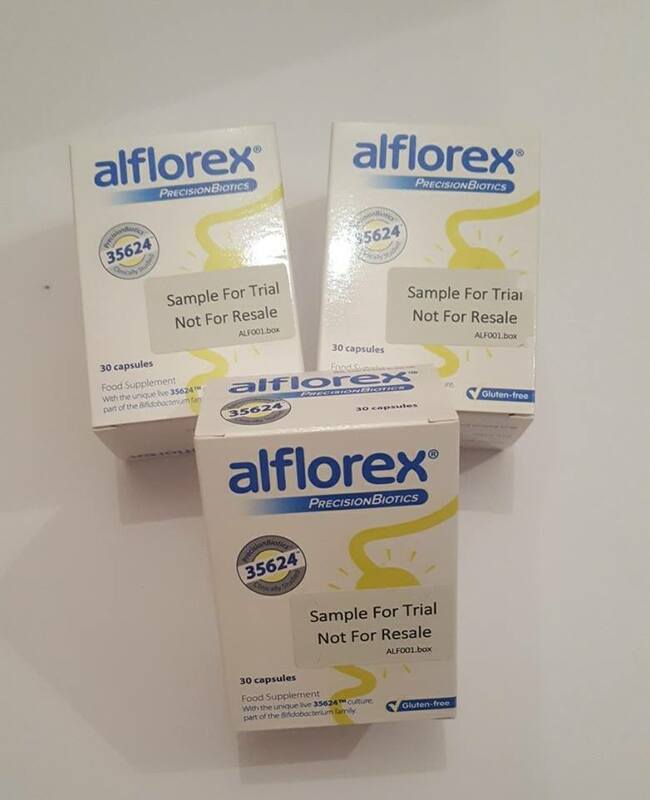 When starting, take Alflorex for 4 weeks to prime the gut and continue to use it thereafter. In a small minority of cases the 35624™ culture may take longer than 4 weeks to prime your gut, sometimes up to 12 weeks. If you stop taking Alflorex, it will completely leave your system within two weeks. 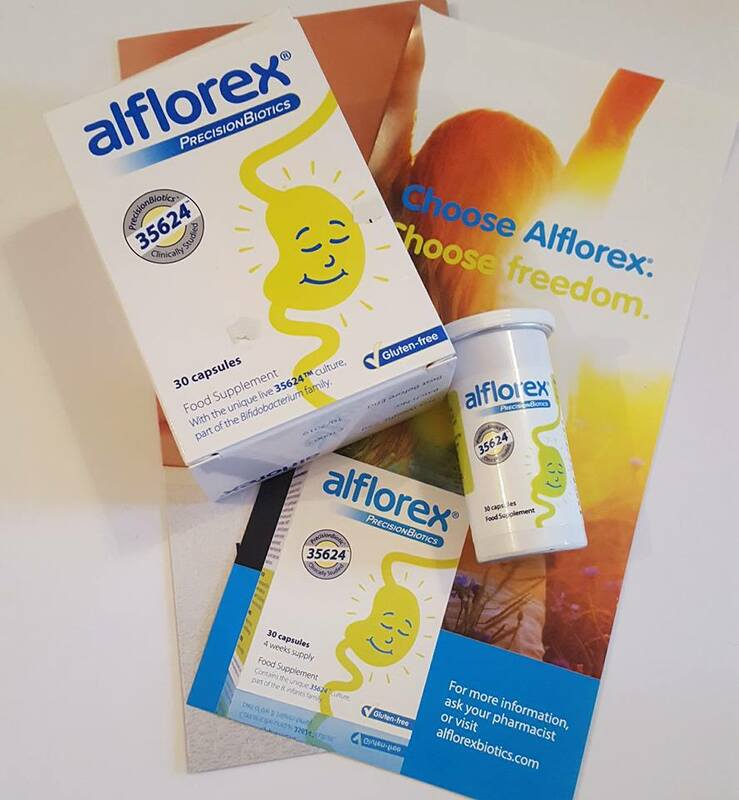 Alflorex is available over-the-counter in all Irish pharmacies and in natural health stores. Price €32.95. Now that's a very brief synopsis from a press release I received which got me interested in trying Alflorex for my own tummy. As you can see being consistent really is important as in if you miss two weeks of tablets you have to start all over again to prime your gut. Even writing this post I am so conscious now I really need to stick at it because I don't want to be unwell at all over Christmas. The medication I can take for my tummy is Buscopan. This used to be only ever on prescription in the south of Ireland but now you can get it over the counter in pharmacies. I was really intrigued by this as it must show the rise in people suffering with their tummies so I'm happy to have found something that is helping me. Now don't get me wrong, this isn't stopping sometimes by tummy reacting but I know in my heart of hearts that stress and poor diet choice play a huge role in how I might be feeling. I rejoined slimming world a while ago and after seeing the dietitian I have learned I need to continue to eat as much fruit and vegetables as I can but making sure they are the right ones to suit my diet. I was recommended to take on the LOW FODMAP diet which I'm sure many suffers will have heard of so I am mixing the two to try and shift those few bloaty pounds by Christmas but also to ensure I am giving my body the right foods that it needs. Alflorex has helped me that when I've been eating good and getting in some exercise I am feeling on top of the world. I no longer feel I need to go home and change out of my jeans as quick as possible after eating what I thought was a healthy lunch but still ending up in huge pain. I am changing my lifestyle as best I can and as consistently as I can to try and make sure that this Christmas is not full of achy pain and annoying bloating. I do have to say #ThanksAlforex in part for how I've been feeling. This little precisionbiotic has been a very welcomed addition to my daily routine and one I am more than happy to keep!